John Forelli is a Philadelphia native who studied economics at the College of New Jersey. Job hunting in a city where you don’t currently live may seem almost impossible. 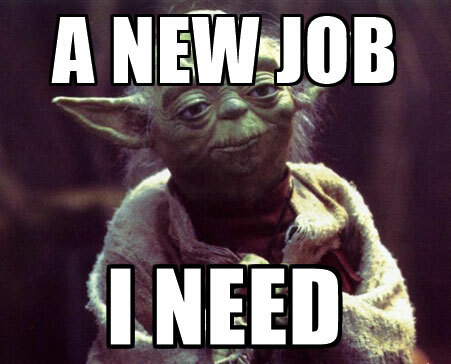 No, it’s not the easiest way to find a job, but that’s why we put together this guide. It goes without saying, make sure your resume and cover letter are top notch. You’ll need all the extra help you can get. IMPORTANT: Include a potential arrival date on your resume and/or cover letter. Let’s consider how your address will appear to a prospective employer. I’ll give you a hint: applying for a job in New York City when you live in San Diego is going to seem weird to the lucky hiring manager who receives your application. You can quickly put these hesitations to rest by writing “Relocating to New York City in March 2017” in parentheses directly under your current address. 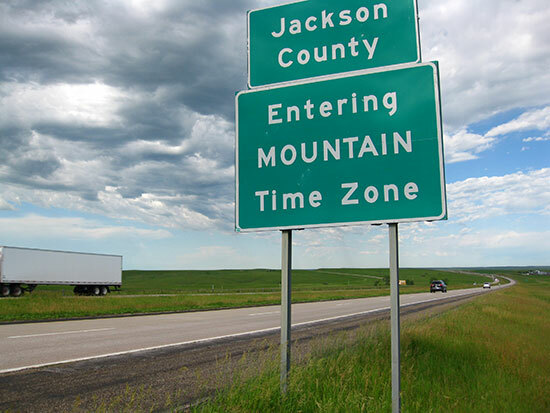 Further, at some point in your application be sure to note the details of your impending move. Also, add a mention of your impending relocation to the summary section of your LinkedIn profile. Most employers will be perfectly okay with this, and if they aren’t you probably never had a chance anyway. Lastly, some people will tell you to list a friend’s local address on your resume/cover letter. Do not use a friend’s address! It can be confusing to prospective employers since you’re not actually there yet, and you’ll have to awkwardly explain this at some point. Alright, now that all your papers are in order, let’s find some jobs! First, you need to figure out who is hiring and learn a little about the job market in the area. Check out all the major job opening sites, Indeed, Monster, ZipRecruiter, CareerBuilder, Snagajob and any other sites you know of. Most of these sites default to job listings from the location you’re searching from, so be sure to specify your future location. Once you start applying, be sure to follow-up. Some hiring managers may discard your resume simply because of the relocation issue. A call can give you a chance to explain your situation and let them know you’re serious. If you’re too shy to call (smile and dial!) or can’t get a hold of them, you can also try to reach out through LinkedIn. And speaking of LinkedIn. 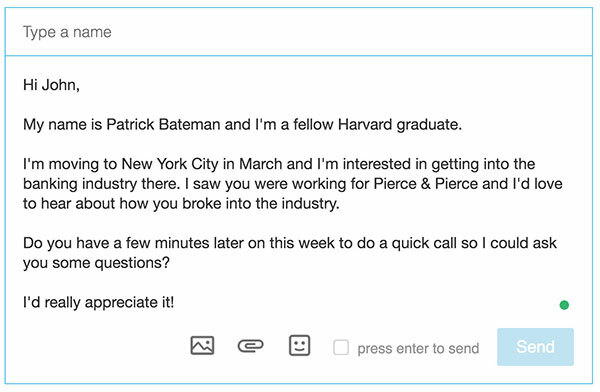 Another great strategy to find jobs is to reach out to people on LinkedIn. Find people who work in your desired field and message them on LinkedIn. Try and find some common ground like an alumni connection or a friend of a friend. Keep it short and to the point. Conversations like these are more casual and often times can lead to someone putting in a good word or referring you to job openings not publicly listed yet. Networking is the most important step you can take toward a new job in a new place. Keep in mind, this process is not fast. Give yourself LOTS of time. If you want to move in September, don’t start looking for jobs in August; start looking for jobs in May and June. So you’ve sent out your resume, submitted your applications, and networked like a machine. Now what? For the vast majority of job openings, the company will look to schedule a phone interview. If they’re multiple time zones away, it may be an awkward time for you. For example, if you live in California and you’re interviewing for a job in New Jersey, the hiring manager may want to schedule a half hour phone call from 11am-11:30am their time, which would be 8:00am-8:30am your time. It’s usually best to just go with it—it shows flexibility and adaptability on your part, and employers love that. If you absolutely can’t make a call, explain the situation to an employer over email and request another time. They should understand. Beyond standard phone interview preparation, be ready to answer questions about why you want to move. Hiring managers don’t want to waste time on candidates who aren’t serious, so be sure to have a compelling story about your desire to relocate. 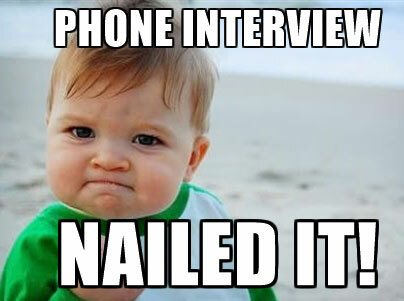 After you’ve aced your phone interview (because you’re awesome), the employer may want to move forward with an in-person interview. You should absolutely be willing to make the drive or take the train if you’re just a few hours away. Anything under three hours is reasonable. If you have to take a five-hour plane ride, that’s a different story. Talk to your prospective employer about it and see if something can be worked out. Is it worth you traveling, or would a skype interview be preferable? Incidentally, this is a good gauge of their interest in you. The more they’re willing to accommodate you, the likelier they are to want you on their team. Don’t be afraid to ask whether you’re the final candidate for a position, and be open about your availability, desires, etc. The cost of living can vary dramatically depending on where you’re living. Before you accept any offer, you’ll want to make sure the salary is at least comparable to what you make now. According to NerdWallet, if you make $50K living in Atlanta, GA, you’ll need to make $115K in New York City just to maintain your current standard of living. Expenses like rent, groceries, and transportation can all change a lot depending on where you live. Be sure to research this aspect of your move heavily. You don’t want to accept a job and sign a lease only to find out you can’t afford to live in your new city. Cost of living adjustments can also be a good salary negotiation talking point if you’re moving from a less costly area. It may come as a surprise, but companies are often willing to cover some relocation costs. When discussing salary, don’t be afraid to ask about any moving reimbursement policies the company might have. Moving costs can quickly pile up into the thousands. To get an idea on how much your move will cost use our moving cost calculator. It should be no surprise, the fancier your job title, the more you can ask for. Having said that, it still never hurts to ask, even if you’re the low man on the totem pole. If the company really wants to hire you, they’ll help out. 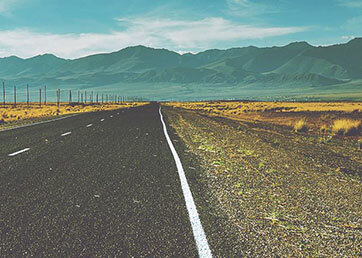 Don’t let a failed job search stop you from making the move. Looking for a job long distance is hard. You’re much more likely to get hired once you’ve actually relocated. If nothing else, follow the steps in this guide and you should at least be able to line up a bunch of interviews prior to your move. And if you’re strapped for cash when you first arrive work some side gigs. Task Rabbit and Uber are both great ways to make some extra cash while you job hunt. You can also help businesses build websites or utilize whatever other skills you have to make some income. Alright, enough talk. Go find a job! John Forelli is a Philadelphia native who studied economics at the College of New Jersey. He writes on various topics regarding Philadelphia and census data analysis for the moveBuddha blog.